There was a time when this was the sleepy part of the calendar for amusement parks. With summer vacationers back in school, seasonal parks went into hibernation. The year-round parks tried to make the most of the off-season, wooing foreigners and conventions who don't necessarily hew to the same seasonal tendencies as stateside teens and families. However, things have started to change in recent years as parks embraced the magnetic appeal of Halloween. Six Flags (SIX), Cedar Fair (FUN), SeaWorld's (SEAS) Busch Gardens and Comcast's (CMCSA) Universal Studios are dolling up their parks with haunted houses and other scary attractions. Disney (DIS) is opting for a more family-friendly approach in hosting Mickey's Not-So-Scary Halloween, where children can go trick-or-treating through the Magic Kingdom in Florida and see festive themed shows. All the nights of Mickey's Halloween Party in Disneyland have sold out. Halloween Horror Nights at Universal Studios Florida is a tradition that is now 24 years strong. Six Flags began dabbling in haunted houses in the 1970s before arriving at Fright Fest in 1989. It debuted at Six Flags Over Texas, expanding to what will now be 13 of the chain's parks this season. "Fright Fest 2013 was our best ever as we increased our investment in the offering and guest satisfaction rose to new heights," Six Flags CEO Jim Reid-Anderson said after last year's season. "These types of events extend our operating season, allowing us to utilize our available capacity, leverage our fixed costs and provide a diversified product offering to single-day guests as well as our loyal season-pass and membership base." The ability for seasonal parks to stay open later in the year is huge given the high fixed costs associated with operating an attraction. It's even sweeter for the premium outfits that can charge extra for the nightly events. Disney is charging $71 a night for Mickey's Not-So-Scary Halloween, and Universal Studios Florida is commanding as much as $95.99 for Halloween Horror Nights. Both parks are open earlier in the day for regular guests, and then closing early so they can reopen for the Halloween revelry on select nights that started as early as Labor Day. I made my way out to Halloween Horror Nights at Universal Studios Florida on the first Sunday of October. The park was crowded, with waits as long as 90 minutes for some of the eight haunted houses set up throughout the park's sound stages. A security official confided that there were 17,000 guests at the park that night, but that figure would balloon up to 30,000 on Saturday nights by the end of the month. Between admissions, VIP experiences and money spent on food and drinks, the park is raking in millions a night. Not everybody charges extra for their Halloween events. 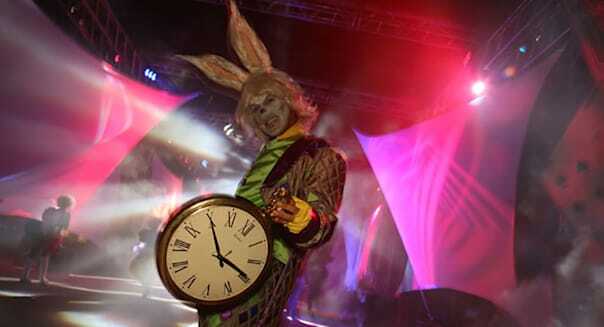 SeaWorld includes Halloween Spooktacular for day guests during October weekends. Legoland charges for Brick-or-Treat at its California park, but it's included for day guests in Florida. Motley Fool contributor Rick Munarriz owns shares of Walt Disney. The Motley Fool recommends and owns shares of Walt Disney. Try any of our Foolish newsletter services free for 30 days. To read about our favorite high-yielding dividend stocks for any investor -- no tricks included -- check out our free report.